Pinterest is an online entrepreneur’s best friend. 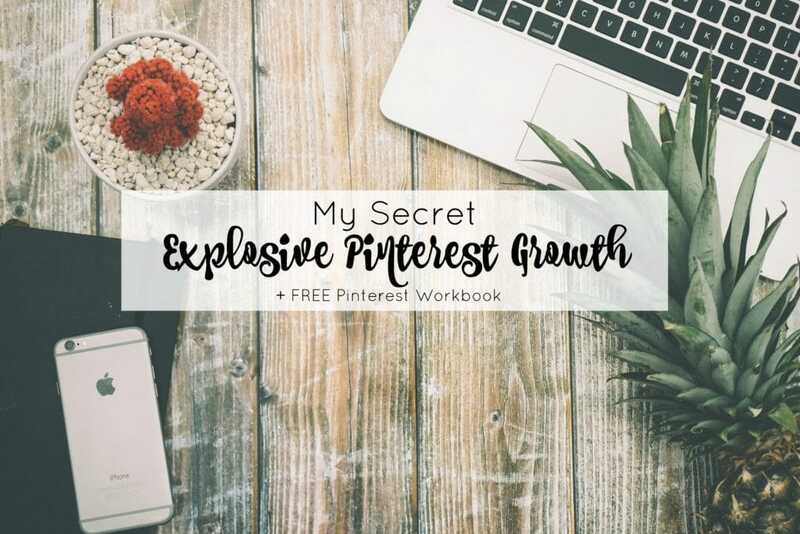 Let me show you my secret to explosive Pinterest growth, without any scheduling tools or expensive courses. If you’re a blogger or an online entrepreneur, you know the power of Pinterest. You’ve probably read ten articles (today) on how great of a tool it is. To avoid an exhaustingly long intro, I’ll be brief with my rehashing. Pinterest is the greatest social media tool for online content creators and bloggers. It’s the one place where your older content doesn’t get pushed to the back when new content comes around. One of my first posts on the Petite Planner, from nearly 11 months ago, still gets around 10-15k views per month from Pinterest. And just to clarify, I’m not going to try to sell you Boardbooster or Tailwind in this post. Nope. I do all of my pinning manually, and still have gained 9.5k followers in less than 11 months on Pinterest. UPDATE: I have started using Tailwind and I currently have 14.2k followers. However, I am not trying to sell it to you in this post. Pinterest is the number one traffic source for my blog, and many many other bloggers. Pinterest can be used to make affiliate sales, to promote your e-commerce products, and even get you more followers on Instagram. Vague, I know. But don’t give up on me just yet. I’m about to dive 1500 words deep into explaining my method and reasons. So please, sit down and grab a cup of coffee and notebook. To achieve explosive Pinterest Growth, where you are doing little effort in exchange for maximum benefit, you have to start on the right foot. I might blow your mind and make you really angry right now. If your Pinterest profile is full of your favorite fall outfits, camping hacks, and pictures of your dream house but you’re a food blogger, just start over. Yep, I said it. Start a new Pinterest account with a new email and Pinterest handle. I have two Pinterest accounts. One is two-three years old and has about 4k followers. It’s taken ages and more follow threads in Facebook groups than I’d like to admit to get to that number. Because so many are other bloggers that followed me per the rules of a Facebook thread, they aren’t even quality followers. Which means they probably aren’t interested in reading or re-pinning my content. So, how does this relate to starting over? 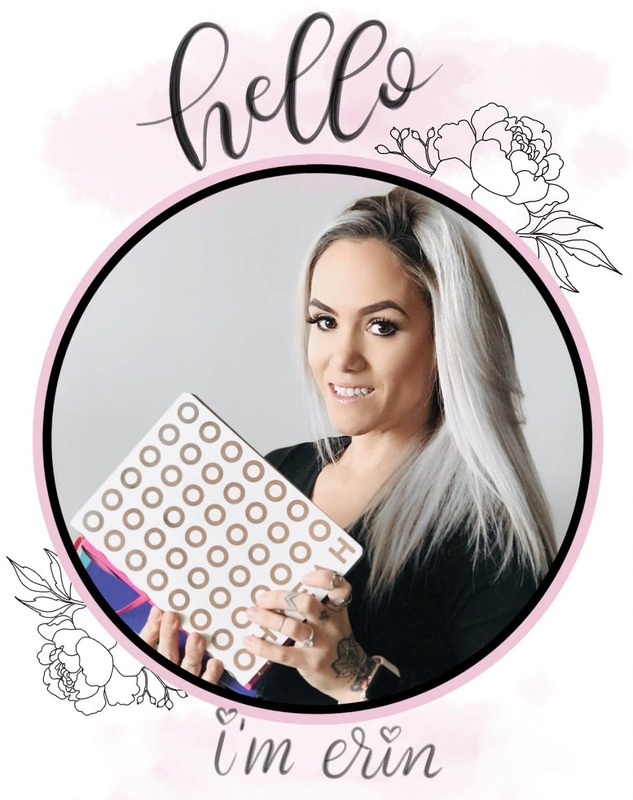 Well, that profile covers every topic from fashion to fitness, blogging to kids crafts, and easy dinners to home decor. Pinterest users want to follow people who post content that they are interested in. So, someone who is into bodybuilding competitions isn’t going to follow a Pinterest user who posts a few healthy smoothie recipes and then posts indulgent fudge cake recipes. So, ask yourself this question. Is my Pinterest profile ‘niche specific’? If yes, keep reading. There’s still more info to come. But if you answered no, it may be time to start fresh. I know some of your are mom bloggers and lifestyle bloggers. You cover a lot of topics. And there are success stories with non-niche specific accounts. But generally speaking, it’s best to stick to a few topics and then break those topics down. So now, you need to break down your niche and attract the right audience. Who is your target audience? Is it stay-at-home moms, online entrepreneurs, retirees? Who is coming to your blog and who do you want to be seeing your content? It’s time to take your niche and break it into more specific topics. For example, if your blog is about fashion, you want to have 90% of your boards be fashion related. But, you shouldn’t just have boards titled “My Favorite Fashion Finds”. PLEASE don’t do that! Instead, get very specific. Fall Fashion: Plaid – Everything on this board would be centered around the idea of fall outfits with some plaid elements. Plaid skirts, shirts, scarves, etc. Date Night Fashion on a Budget – This board has the budget friendly little black dress and the second-hand skinny jeans. Summer Attire for the Workplace – Show your audience that you can dress for the heat but still keep it work friendly. Capsule Wardrobe for Moms – The pins on this board would showcase simple fashion staples that can be dressed up without a lot of effort. Okay, so you get a general idea, right? Fashion isn’t just fashion. There’s fashion for different body types, professions, times of the year, etc. Same goes if you are a food blogger. What kind of recipes do you develop? Are they for a specific diet plan? Make your Pinterest Boards reflect that. It’s about to get as real as my upcoming 27th birthday. This is where you need to pay attention. Pin making isn’t hard, but it takes some strategy and practice. The basics of a good pin are: readability, long pins, and clear bright pictures. 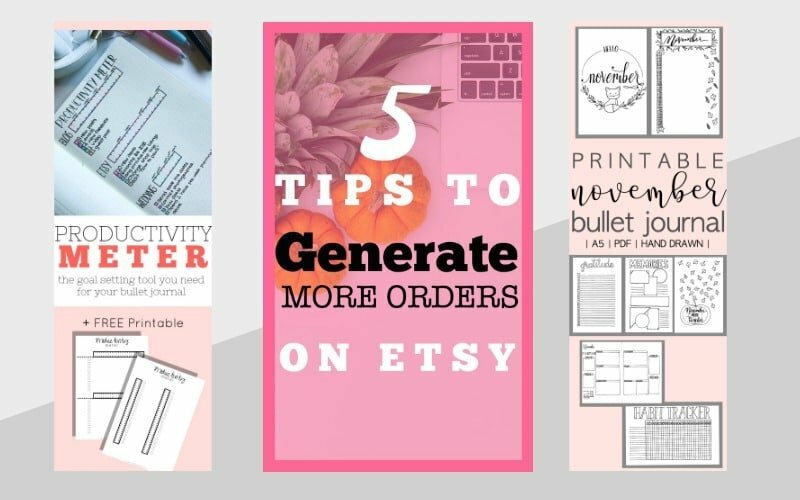 I’m going to show you a few examples of pins I’ve made that have generated lots of traffic and helped me achieve the Pinterest growth I want. Look at these pins and then, using your notebook, write down what you notice about them. This is what you should have picked up on. 1). Large, readable text that explains what the post is going to do for the reader. 2). Long pins that take up lots of space on the screen. 3). Clear, inviting images that represent the content effectively. The same three things I mentioned above, that make for a successful pin. There are lots of ways to go about making your pins. But, the easiest way is to use an online program like PicMonkey or Canva. The both offer graphic design tools like fancy fonts, the ability to create custom sized graphics, vector images, and more. And honestly, both are wonderful and use each of them for different purposes. However, for the sake of making quality pins, I use PicMonkey. Sadly, It’s no longer a free program. You do have to get a monthly subscription. But it’s affordable at $3.99/mo billed annually or $7.99/mo billed monthly. When they offered a free membership, many of their tools weren’t available for free. But with the paid membership, you have access to all of their graphics and photo editing tools. And the other thing that puts PicMonkey a step above Canva is the ability to use your own fonts. Canva requires a more pricey subscription for that feature. And having fonts that match your brand is absolutely crucial to your success. I seriously wouldn’t be able to blog without PicMonkey. I use it to make all of my graphics, ads, pins, etc. Ok, so now that we’ve covered what programs you can use to create your pins, I’m going to show you how I create a pin. We’ll create the long pin for this post with a walkthrough tutorial. First, I’m going to go to PicMonkey and hover over the DESIGN tab at the top. Then I’m going to click custom size and set my size to 700X2000pixels. This gives me the long format that has proven to get more engagement than square or horizontal pins. Second, I’m going to find a stock image that is pretty, girly, and represents my brand. To do that, I’m using Unsplash, a website full of free images you can use for your blog, social media, etc. 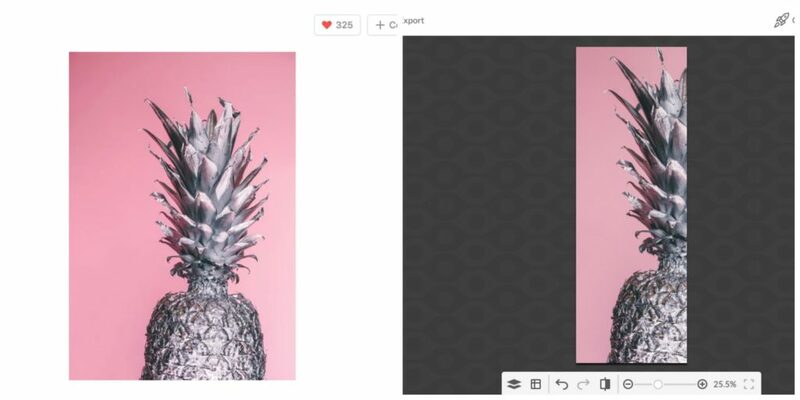 I chose this pretty silver pineapple with a pink background. I use a lot of pink in branding. And I stick to a very girly theme, so the pineapple fits. However, I did change it up a little by moving the pineapple to the right-hand side and leaving some open space on the left. Third, I’m adding some simple design elements for branding purposes and to make my image more visually appealing. I add a white rectangle over the picture and then use the fade slider to make it somewhat transparent. Then I add a hot pink frame around the outside of my pin. Fourth, I’m going to add some text to my pin. I’m sticking with some of my own fonts that I downloaded from DaFont. I make sure that it’s large enough to read even when it’s in the smaller format people see when scrolling through Pinterest. And I make sure the title is click-worthy. Don’t create fake titles to get people to click to your post. 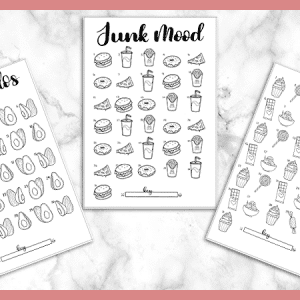 Finally, I’m adding a few overlays of my printable workbook to really use the pull of a freebie to get people to the post. 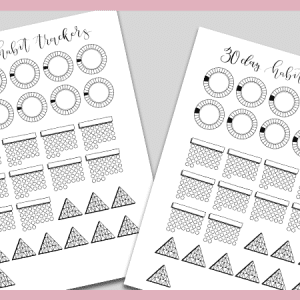 After that, the design is complete and I will add the long pin to the bottom of this post so it’s easily accessible and people can pin it directly from my blog. See the end of the post for the final product! 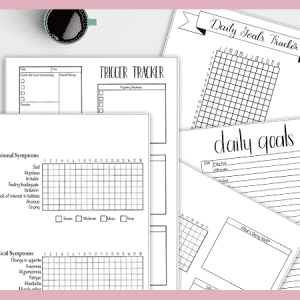 Before you go, don’t forget to grab my free 4 page printable PDF Pinterest Growth workbook. 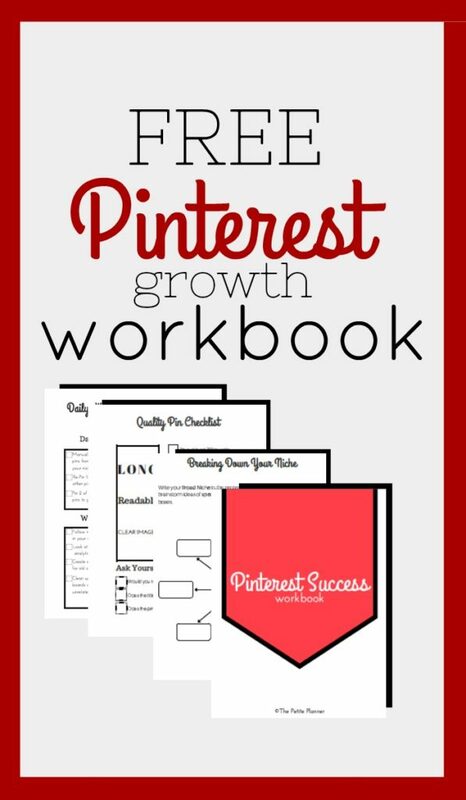 While this workbook doesn’t cover all the grounds of being successful on Pinterest, it will certainly help increase your traffic and get new and interested eyes on your content. If you would like to get more posts like this delivered to your inbox with tips and strategies for online entrepreneurs, subscribe to my Online Success Community. Do you have any questions or concerns regarding this post? Would you like some board name ideas or help to identify your keywords? Comment below and I would be happy to help out.